Since 1979, Cal Air Cooling and Heating Las Vegas has been dedicated to providing the best indoor comfort solutions for Southern Nevada families and businesses. We pride ourselves in exceptional service for our customers. You can count on us to provide you with a high quality HVAC system and solution that fits your home and office. In Las Vegas, we have earned the reputation for doing the job right the first time for thousands of clients. 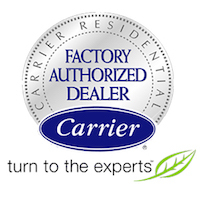 We are the Carrier Factory authorized service company which assures the quality of our HVAC services. Also Cal Air Cooling and Heating Las Vegas is a BBB (Best Business Bureau) accredited HVAC contractor in Las Vegas and we have kept an A+ rating for over 20 years. Have Questions You Need Answered By One Of Our Expert Technicians?